One of the biggest mistake givers make is to donate impulsively. (This would include making gifts to telemarketers.) Here are some of our thoughts on how to gift intelligently. Reputable charities will have an online presence with answers to the following questions. What is the charity’s mission? It’s important to understand the charity’s mission and see if they are precisely defined. Often if a group’s mission is vague, you don’t really know what the charity is trying to accomplish. Does the charity have a non-profit status? Choose a charity that has been granted a 501©(3) nonprofit status. If the organization has this designation, it means the donations the group receives are used for charitable purposes; the gifts to the organization are tax deductible; the group makes financial information public; and strict rules govern how much the group can spend to lobby the government. What is the organization’s spending ratio? When you donate, you want your money to be used to help others – not pay for office furniture for the charity’s director. The most efficient organizations spend at least 75 percent of their budgets on programs and services (their spending ratio), with the remainder going toward administration and fundraising costs. The organization’s spending ratio can be found by looking at their financial analysis on CharityNavigator.org. To earn a deduction, you must be giving to a qualified 501©(3) charity. This information can be checked at irs.gov. 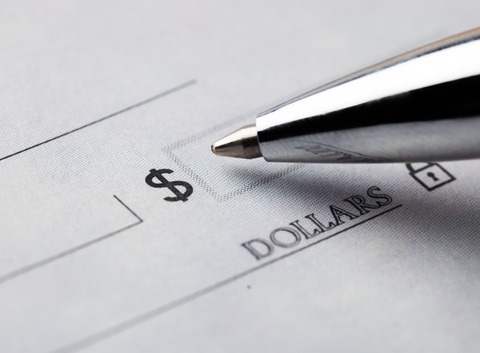 How are you tracking your charitable giving? Cash gifts are harder to track, so it’s recommended to use a check or a credit card when making the gift. This can make record keeping easier. If you keep good records of your gifts, it’ll be simpler to capture this information on Schedule A of your tax return. Are you maximizing your tax deduction? Tax efficient charitable giving involves looking at not only your charitable giving plan, but also the best way to leverage tax breaks for charitable giving. Sometimes it makes sense to gift with appreciated stock, with your Required Minimum Distribution from your IRA (Qualified Charitable Distribution) or with a Donor Advised Fund. Read Tax Efficient Charitable Giving for more on this subject. At Blankinship & Foster, we’re here to help you make wise decisions in all of your financial matters. Please contact us to discuss your charitable giving plans and how best to maximize your donations to achieve your goals.